Apple released its much vaunted iOS 10 software yesterday, and the biggest changes seem to be in the messages, which in a way validates the importance that internet businesses are placing on mobile messaging. iOS 10 adds some really nice features. For instance, iPhone users can now write messages using their fingers to create various effects — tap with two fingers and drag the fingers down to send a broken heart to your ex. Yes. It seems to work even if the recipient has a different handset — I was able to send a picture from inside my messages app to my wife’s Windows smartphone and my Samsung Android phone as well. Responding to your boss’s email with a quick reply, however, is a lot nicer on the BlackBerry Hub+ for Android, which I’ve written about earlier (I recently finished my free trial period on that and now pay Rs 65 a month for all of the Hub’s available features). Didn’t immediately find any cool new features so far as email is concerned on iOS 10, at least on the front end, that could be useful to users. I may be wrong about this, as I’ve only tried iOS 10 out since this morning, when I installed it. The software is a full 1GB to download. Notifications are nicer looking, and appear in their own rectangular bubbles with rounded edges — a theme that is carried into the widgets like news that appear with a swipe-left from the homescreen. Back to messages, there is a share option within the app that allows one to share pictures, videos and even recently played music. For those who love stickers, well now you get those as well, and all of this can be done without leaving the app. And I didn’t immediately find any quick ways to make that happen in the settings. Finally, wildly hopefully, I asked Siri herself, ‘how do I set up Uber to work with you’, but she didn’t know and offered to search for some related apps on the App Store. In a related feature, Apple’s promising improvements to its own Maps app, but users in India are better off with their trusty Google Maps downloaded from the App Store. Apple’s also been talking about a raise-to-wake feature, which means just pick up your phone and the screen should come on, showing your notifications. Again, not working on my iPhone 5S, and I couldn’t easily find out if the feature needs to be turned on, specifically, in the settings. 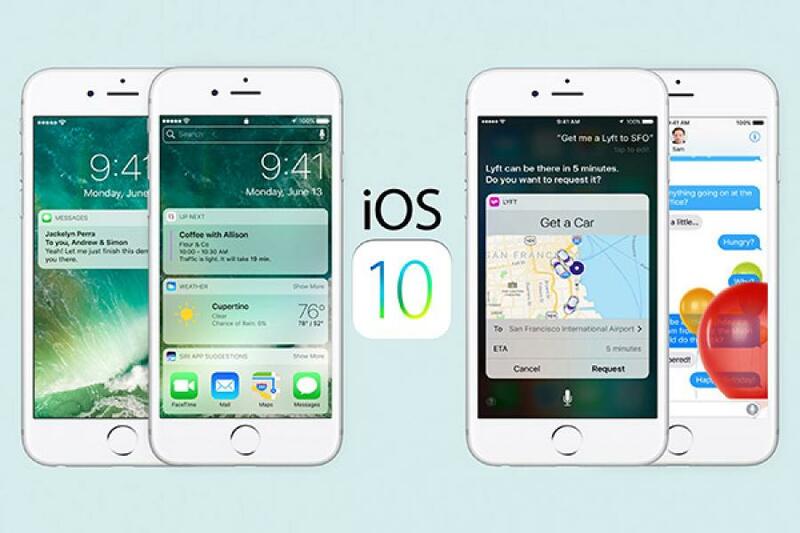 iOS 10 has enthused developers in India as well, and check out Bengaluru-based Antarjaal for one example. They do some nifty app work, and have just released sticker packs for messages in Indian languages. There are plenty more features to explore, including a design refresh for Apple Music and a new Home app for those who want to use their iPhone to work with Apple’s Home Kit smart homes software suite. One small addition, which I really love in iOS 10 is the change in the keyboard click sound. It is now ‘sounds’, as there are two. First, the original sharp click has been made to sound a tad softer, at least to my ears, and second, a new more-diffused pop has been added as well. Typically the sounds chase each other, alternating, each time there is a break in tapping out a message. Not sure if this is purely aesthetic or has applications in accessibility, but either way, I’m glad Apple’s iOS 10 team did this. Very nice.